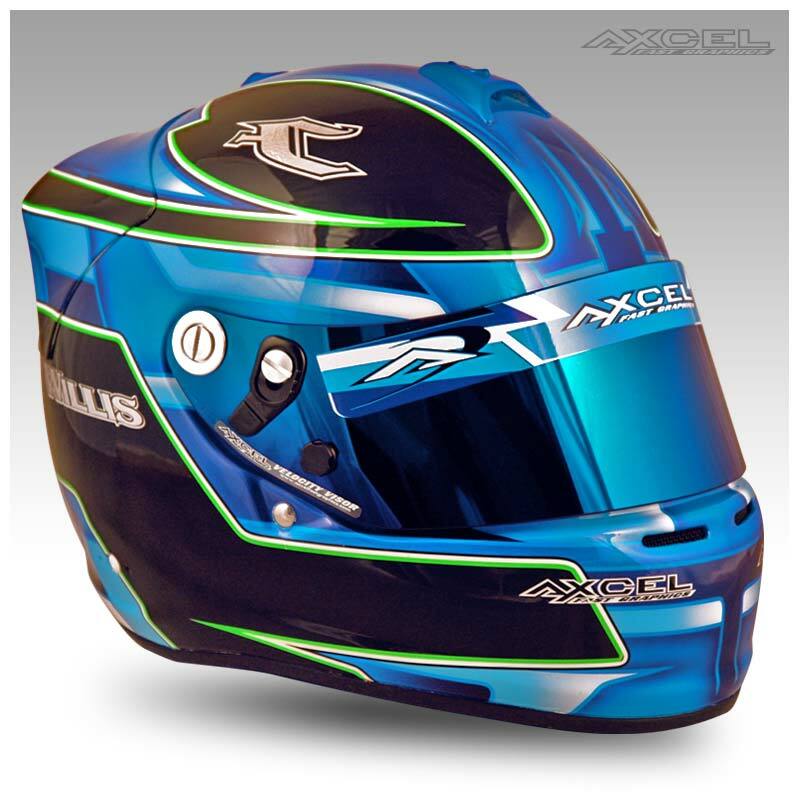 This helmet features lots of detailing in the blue section. 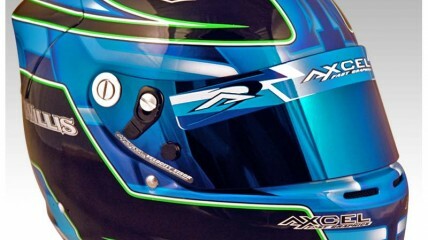 Using various tones of blue we created an elaborate eye catching design. Racer’s name is featured in chrome.